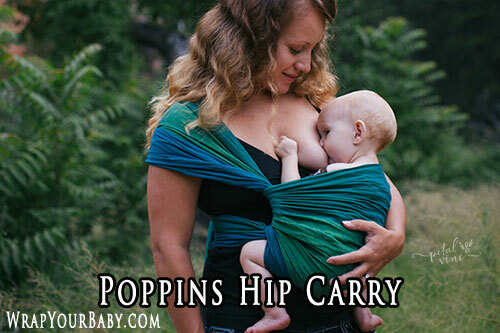 Poppins Hip Carry – if your baby is already sitting you can use this as a hip carry. 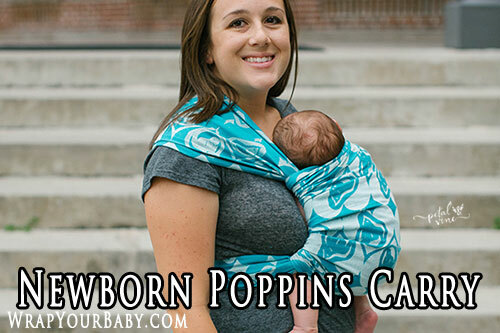 If you have a newborn or younger baby, position your baby centered on your chest for a Newborn Poppins Carry. Step 1. 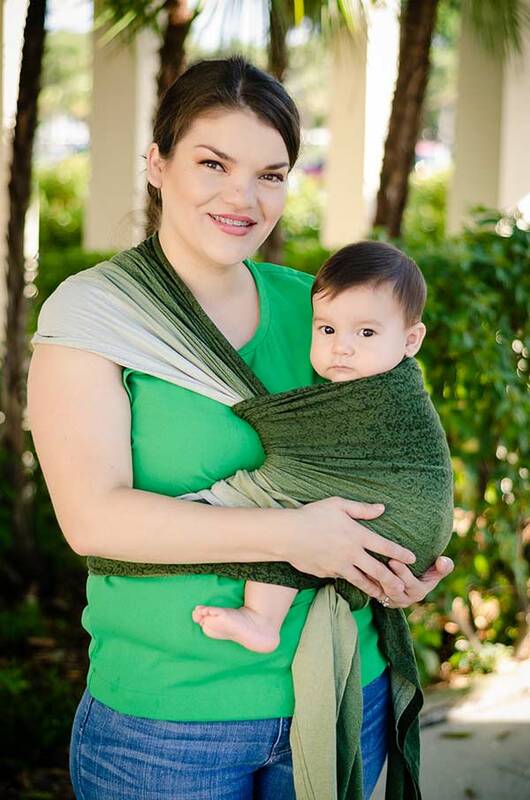 Find the center of the wrap. Step 2. 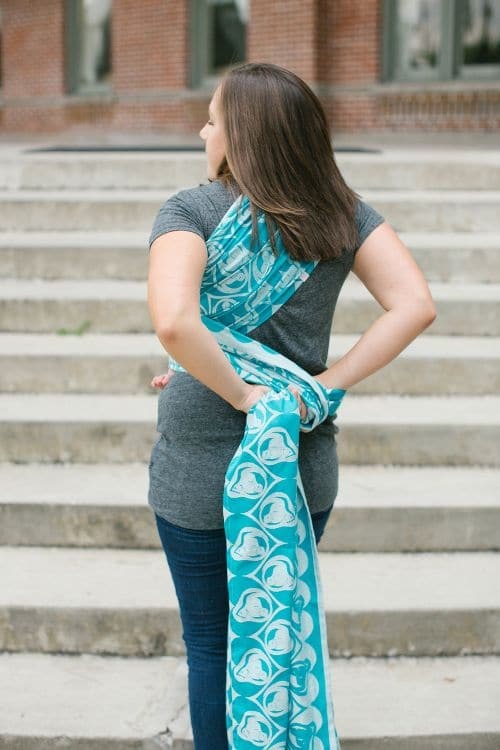 Put the center on one shoulder and bring one end behind your back and across to your other side. 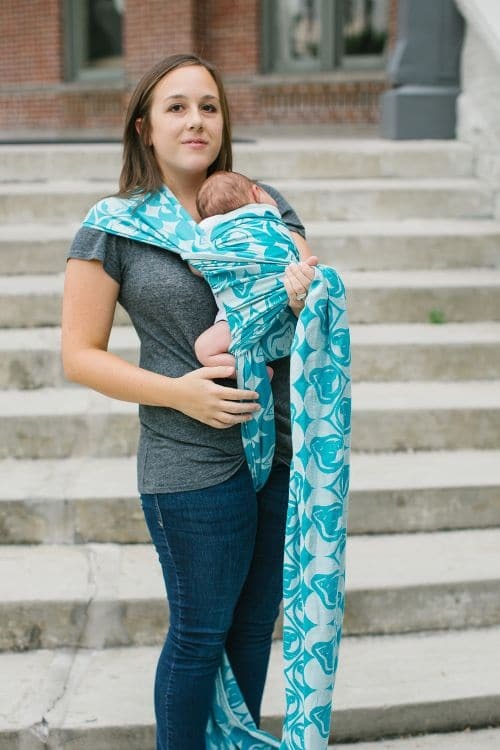 Make sure the wrap is spread wide and is not twisted. Step 3. 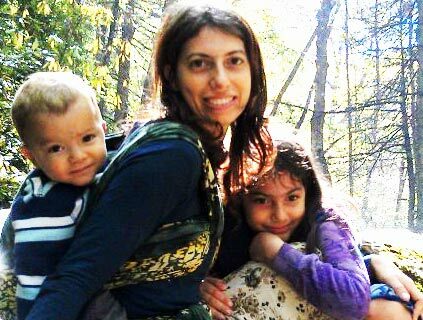 Bring around your side to the front and across your body. 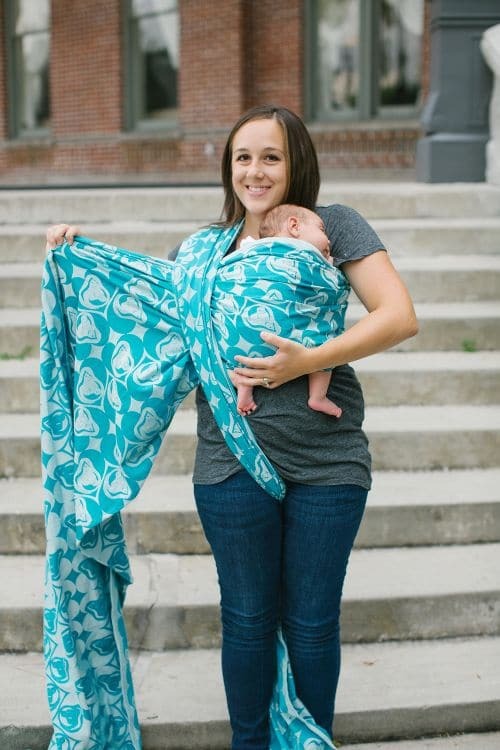 The wrap end coming OVER your shoulder should come over the horizontal piece and you can hold it between your knees to help anchor it as you insert baby. Step 4. 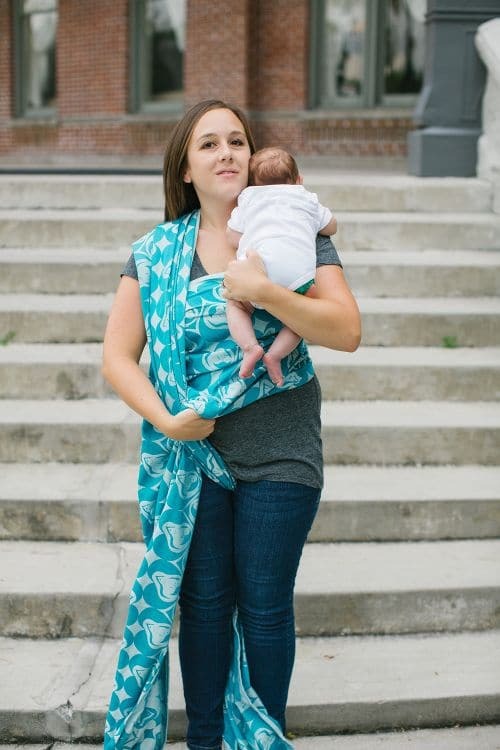 Hold your baby on your shoulder in a burp position, then slide baby down into the pocket and guide his feet out through the bottom of the wrap. Step 5. 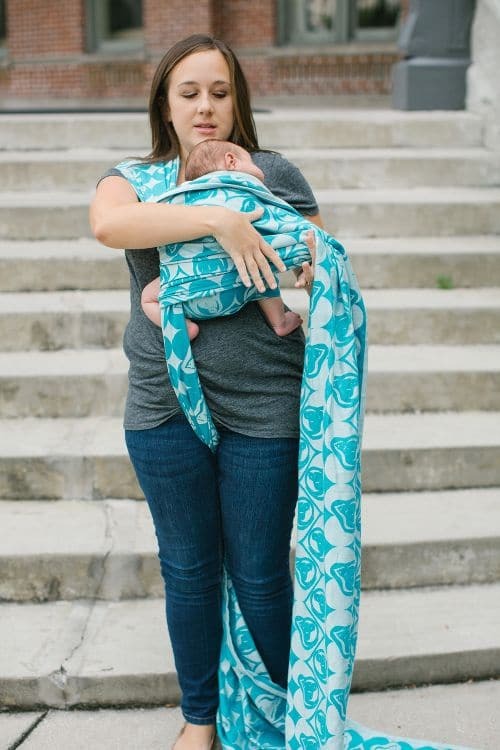 Bring the top edge of the wrap up to baby’s shoulders and the bottom of the wrap down under baby’s bottom to form a seat that extends all the way to his knees. 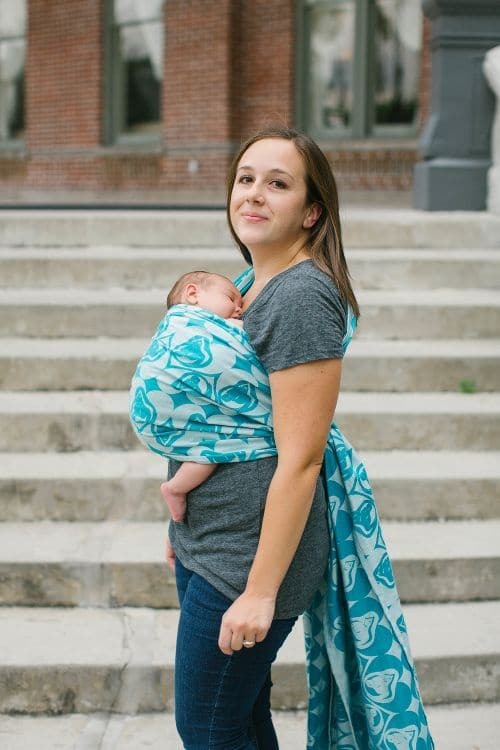 With the one end still between your knees, get all the slack out of the wrap around your baby by pulling and snugging the end sticking out the side. Step 6. 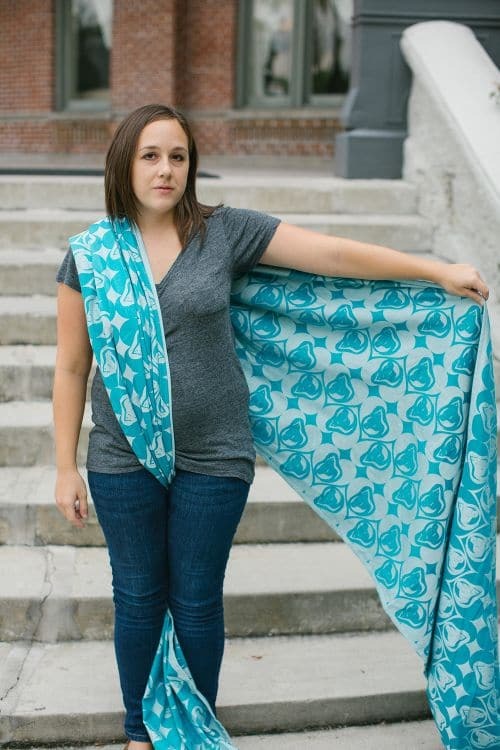 Once you have all of the slack out of the wrap, pull it around the end between your knees to double over baby. Step 7. 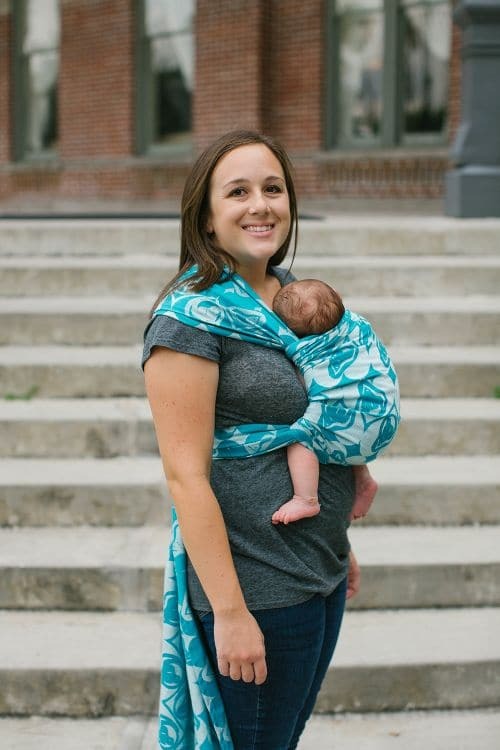 Spread the second layer of wrap over baby and around your side to the back. Step 8. 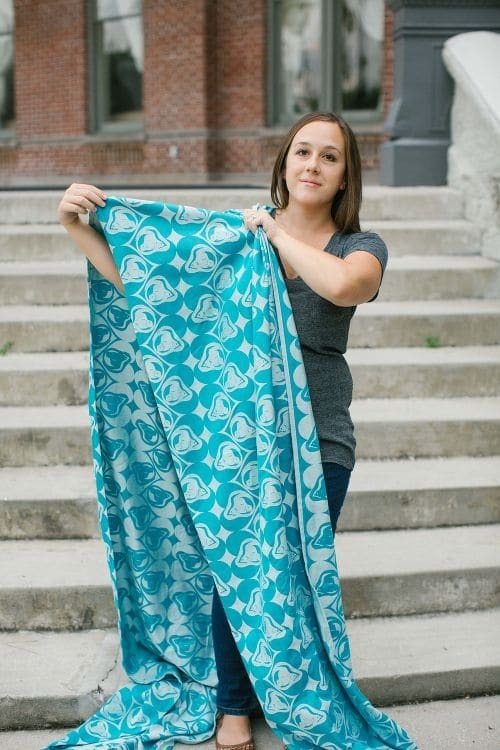 Take the wrap end from between your knees and pull it around your other side so you can tie the two ends behind your back. Step 9. Tie a double knot behind you and you’re done! The pass on your back should be wide and flat (not twisted) for the most comfort and best weight distribution. 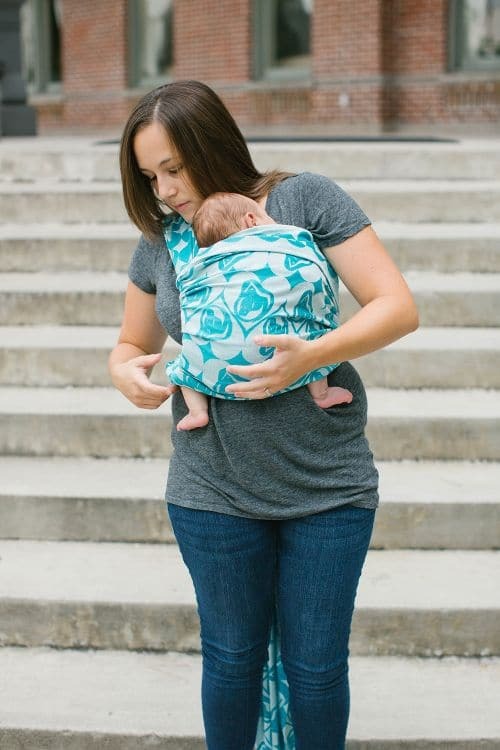 If you haven’t already, at this point you can spread the second layer up to baby’s shoulders and down under baby’s bottom to form a seat. 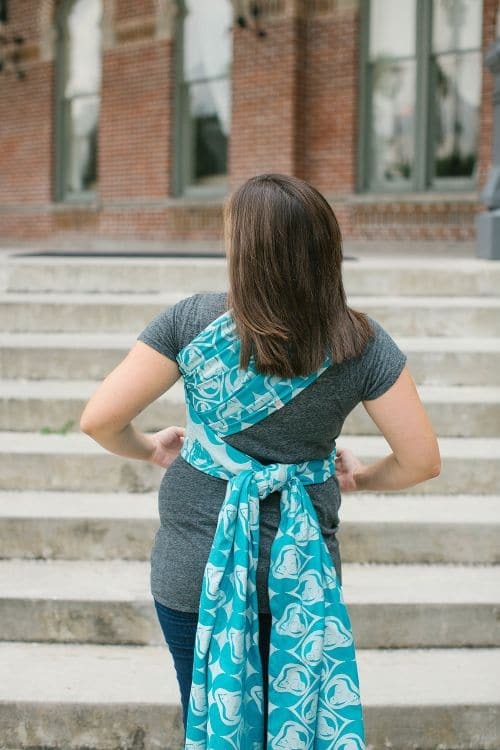 With a baby who is already able to sit, or an older child, position your baby on your hip for a true Poppins Hip Carry. 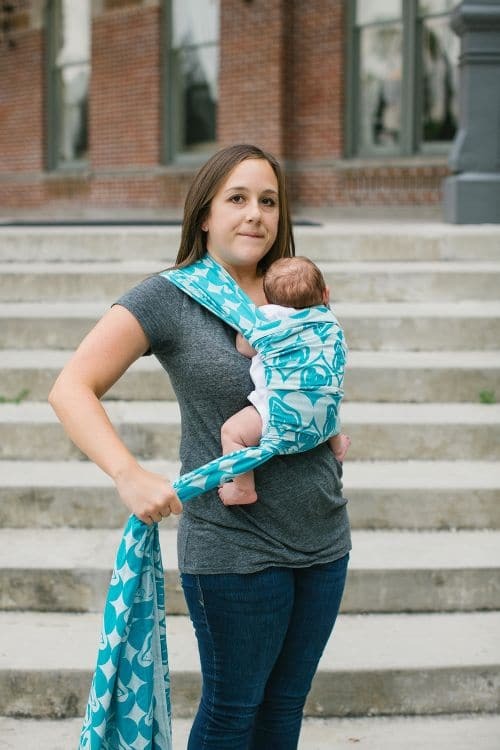 The carry is done exactly the same way. 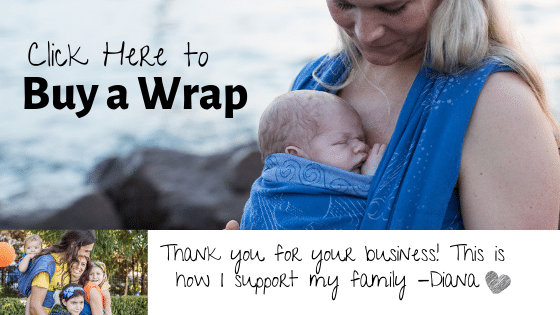 Use my photo and video tutorials on this website to get wrapped up.